I’ve always wanted a pair of wireless headphones, but I have never had a compatible device and plus the technology just wasn’t ready yet. When the Jabra Halo showed up at our doorstep, I had also just upgraded my phone to the brand new Sprint HTC Hero. A perfect match. It paired up quickly and I was finally untangled from my phone. The Jabra Halo, appropriately named for its unique, thin, and sleek design, strays away from other traditional bluetooth headphones. They look great and are aesthetically appealing, but how do they hold up in other distinguishing areas? Read on to find out! As the name suggests, the Jabra Halo simply resemble a halo. As I removed it from the packaging, it struck me a luxurious gadget. They felt quite lightweight as I picked them up and the black trim was elegant. After skimming through the product info sheet, I looked at the quick-start guide for directions before trying them on. Ok, easy enough, just unfold and snap in to lock the headphones into position — wait… ‘snap’? Although I was a bit worried, I realized that the headset actually had a joint to fold. This wasn’t just to make the device more compact for travel, but it was actually what turned it on and off as well. It’s unique, new, and the sharp look definitely certainly got me a few glances. All physical controls are on the right side of the headset. There’s one big multifunction button that serves as an Answer/End key and the Play/Pause control. The multifunction can answer an incoming call or end a call in progress. If the music is being played back it then can be used to pause or resume the track. The side of the right ear piece has a touch sensitive strip that allows adjusting volume or navigating tracks. Simply sliding your finger up or down the strip increases and reduces volume, respectively. To skip tracks, you’ll need to hold down on either the top or bottom portion of the strip. This may sound great on paper, but it takes quite a bit of getting used to. It was just difficult to find the position of the touch strip since there’s no groove to help guide your finger. The only other issue was the responsiveness probably due to the Bluetooth Protocol. It often took a second or two to react to a change in volume, track change, or pause. It’s not a big issue, but hopefully there will be improvements in the future. On another note, it would have also been convenient if separated the multifunction button into to dedicated keys: one for answering/ending calls and one for playing/pausing music. I generally avoid over-the-ear headphones since they are too bulky to carry around. Plus traditional headphones have messy cables to deal with. That’s not the case with the Jabra Halo. It’s sleek and even folds up into an included pouch. Plus it feels great to wear. The insides are lined with a velvet-like material, which are quite comfortable. It might even help dampen outside noises. The inner lining unfortunately gathers some lint and since it’s black; it’s quite visible. The side ear-pieces can be pulled out further for a better fit. Unless your head is too large, this should adjust to fit just about anyone. Even with extended periods of use, the headphones were quite comfy. I’ve had numerous complications in the past dealing with pairing new devices. Sometimes these things just don’t pair right, take too long discover the device, or PIN is nowhere to be found. 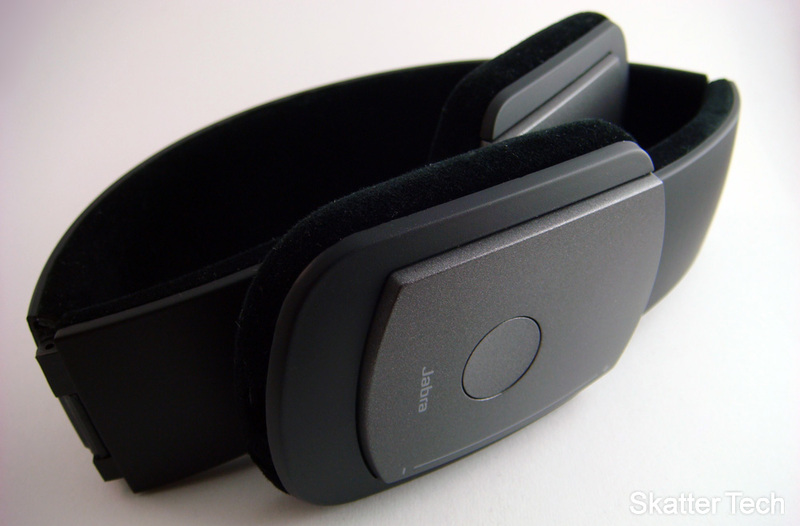 The Jabra Halo simply works. Just hold down the multifunction button until the light starts to blink. Once once it appears on your device, just key in the default 0000 pin that’s mentioned in the manual. Since this device supports dual pairing, just repeat the process again to connect a second device. That was easy, but the Halo has problems after that. It’s theoretically suppose to be able to handle two devices at once. So if you get a phone call on one, it should be able to answer that, but also handle calls from another phone too. The problems starts with a long delay when switching between devices. It took at least about 20 seconds before the sound was transferred to the headset after pressing the multifunction button to answer a call. It may sound convenient, but it will also truly annoy the caller since they’ll have no idea what’s going on. If it was a little faster, I would happily be able to pair this to my computer to listen to music, but also answer calls on my HTC Hero. According the advertising and info sheet, Jabra claims a 6 hours of music playback. So of course, I tested that claim. After a full charge, I found that I was getting about 4-5 hours of playback at medium volume. That’s certainly enough for a day’s use. They could surely make some battery life improvements in the future, but it works just fine. To charge the device, Jabra has provided a AC wall charger with a standard microUSB tip. It plugs into the port on the bottom end of the right ear piece. There’s an indicator on the inside of the headset that display’s both the battery level and the Bluetooth connection status. Here’s the other neat aspect, the headset supports a wired connection mode. So when it runs out juice, just plug it in with the included microUSB to 3.5mm headphone jack and you can keep on rocking! There’s even an additional microUSB to USB dongle included to re-charge with a computer. The connector was a bit loose, which was an issue since it stops charging if you move it unintentionally. However that might just be an issue with the review unit we received. 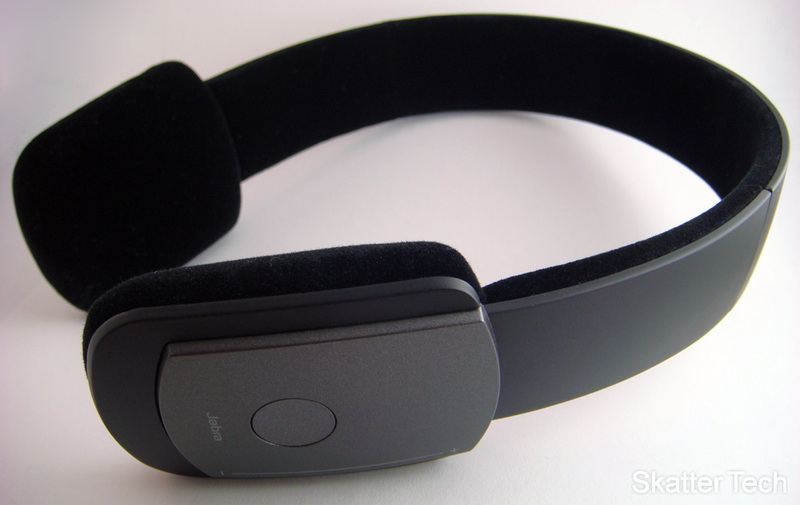 For a Bluetooth Stereo Headphones, the sound quality is superb. It definitely sounded better than what came out of the Altec-Lansing BackBeat. Unfortunately the quality rapidly deters the further you get away from the paired device. The range was quite short, sound began to quickly get choppy at about 25 feet. That’s not too great compared to the Altec-Lansing which worked from at least 75 feet away with no physical obstructions. Things however change when you switch over to the wired mode. The audio quality immediately becomes a lot more crisp with better highs and lows. The bass was also at decent level. As for phone calls, the quality was satisfyingly clear for both me and person on the other end. It doesn’t cancel out background noises for the microphone too well. It becomes harder for the person on the other end to hear you in noisy environments. Although you’ll probably have the paired device in your pocket most of the time, it still would have been favorable if the range was further. Overall, the Jabra Halo is still one of the best Bluetooth Stereo Headphones on the market. It offers both wired and wireless connectivity modes. Sound quality is excellent. Although a bit slow to react, it still offers the ability work with two devices at once. The headset even folds up and tucks away into the included pouch. The battery life is decent and the device is fairly durable too. 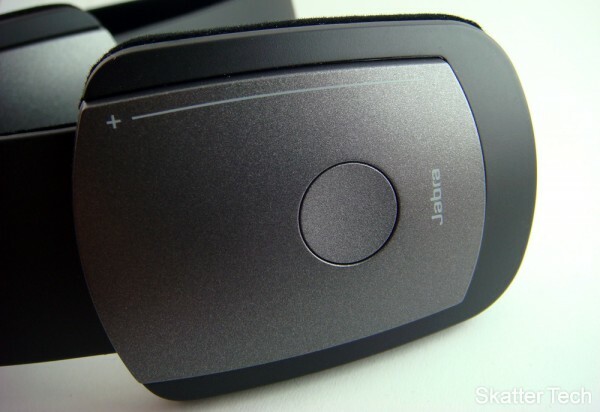 The Jabra Halo is however a bit pricey, costing nearly $135. And there’s a reason for that, these are premium headphones. Competing products such as the Altec-Lansing sell for nearly half the price, but also do lack audio quality and premium features. If you have the cash to spend and are looking for a new pair of wireless headphones, you can’t go wrong with the Jabra Halo.